London: England midfielder Alex Oxlade-Chamberlain will miss the World Cup after he suffered a knee ligament injury in Liverpool's Champions League semi-final clash with Roma, the club said on Wednesday. Oxlade-Chamberlain was carried off on a stretcher midway through the first half of the 5-2 first-leg victory over Roma on Tuesday. 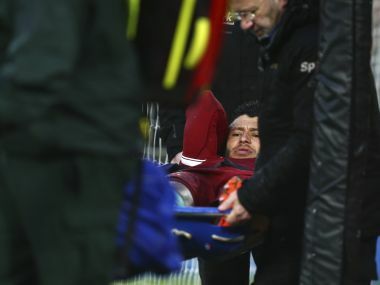 He underwent a scan on Wednesday that revealed ligament damage, although the club are not putting an exact timeframe on how long he is likely to be out for. "The extent of the injury means Oxlade-Chamberlain is set to miss the remainder of the campaign for Liverpool, as well as the World Cup finals in Russia with England," the club said in a statement on their website. 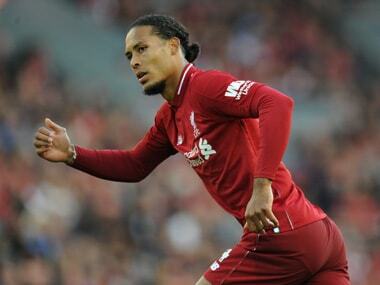 "The 24-year-old was assessed by the club's medical team at Melwood on Wednesday morning and no specific timescale is being placed upon his return to action at this stage. "However, Oxlade-Chamberlain will now begin a rehabilitation programme to enable him to reach full fitness again as soon as possible, returning to action next season." 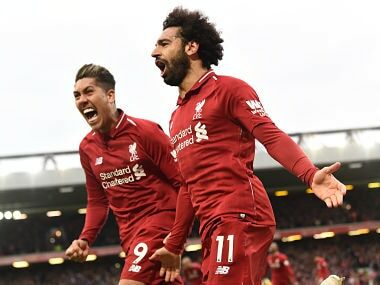 The former Arsenal man scored a stunning goal in Liverpool's 3-0 quarter-final, first-leg Champions League win over Manchester City and was widely expected to be included in the England squad for the World Cup, which starts in Russia on June 15. 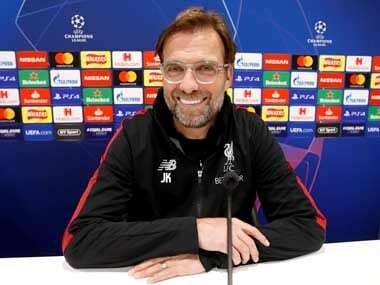 Klopp's men looked certain for the Champions League final in Kiev on May 26 when doubles from the outstanding Mohamed Salah and Roberto Firmino either side of Sadio Mane's strike saw the hosts race into a 5-0 lead. "The biggest blow for the mood in the dressing room is the injury to Ox," said Klopp following his side's win at Anfield, anticipating that his player had been badly hurt. Oxlade-Chamberlain has struggled with knee injuries in the past, missing Euro 2016 having failed to play at the 2014 World Cup after suffering an injury in a warm-up match.